Greetings, dear readers! I hope your week has been off to a wonderful start, and if you had the pleasure of a three-day weekend for Memorial Day, I hope yesterday was a fun one for you! My husband and I always opt to lay low during the holiday weekends to avoid the traffic and crowds, but I don't think the boys minded too much. They got to "help" do some painting outside the house, but more importantly, they got to break in the new Slip 'n Slide we recently picked up. Since we're close to the coast for a short trip, we'll likely be beach-bound this upcoming weekend, but until then, let's jump in on the week and today's blog post! Withe May racing to a close in the next few days, I figured I better get to showing some swatches of polishes for the June Polish Pickup! For those not familiar with the concept, let me briefly fill you in. Each month, a theme is voted on by Facebook group members and polish makers get to work creating beautiful nail lacquers inspired by individually selected inspirations that fit within the encompassing theme. The first weekend of the month, the creations are then made available for purchase. Customers can buy as many or as few as they wish, and there are no obligations for future purchases. It's a great way to share your love of different themes on your nails, although I must warn you: the makers have been KILLING IT with their polishes and it is difficult to narrow down choices! The winning theme for June is Video Games, and makers have been sharing some pretty incredible polishes that will be up for purchase later this week. 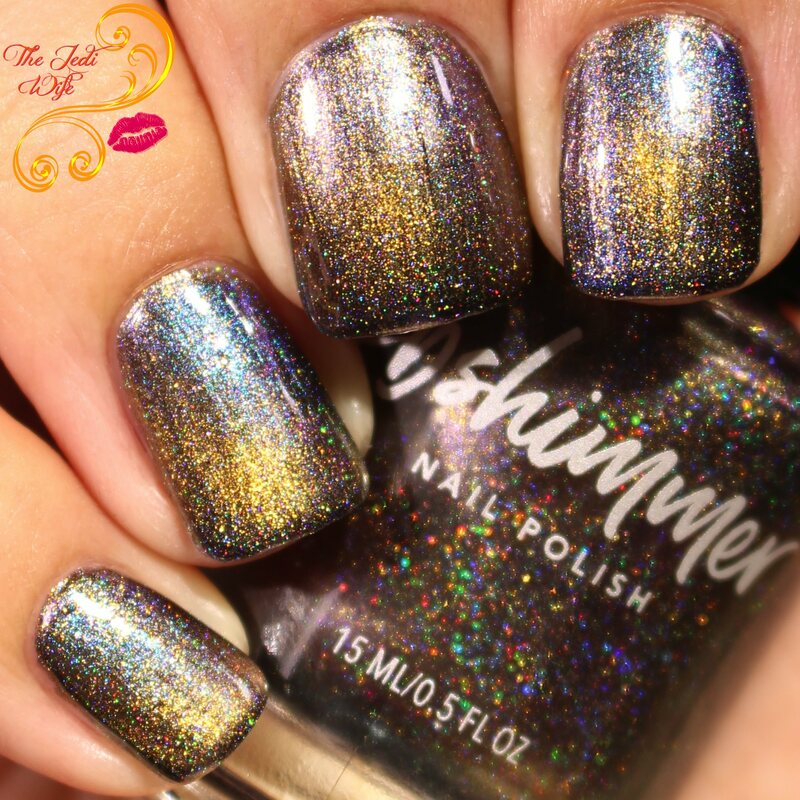 One of the makers is longtime indie brand KBShimmer, and Christy, the creative mastermind behind the brand, went old school with her inspiration. Long before the days of fun phone apps and game consoles in homes, gamers spent their time and quarters in the arcade playing their preferred addiction. Fumbling through pockets, players would desperately seek out their coins to get started, or even more frantically to keep the game going. KBShimmer pays tribute to those days with the magnetic Insert Coin. First up are swatches of Insert Coin with normal application without using a magnet. The following photos are shown with two coats plus KBShimmer's Clearly on Top top coat. Insert Coin is an unassuming polish when worn with a traditional application. It is a lovely bronze shade with a dusting of holographic flakes, and even in this state, you can see some colour shifting action going on as you angle your nails in lower light settings. With this application, the colour shift appears to be from the bronze to a touch of mauve, as really seen in the second photo, but keep reading below for more shifty goodness! I actually quite like this polish like this as a fun dark shade when I don't want to wear a plain black polish on my nails. Insert Coin becomes a little more "extra" once you hit it with a magnet. I added a third coat and held a magnet on its broad face for approximately 45 seconds over each nail for the following photos. I also added a coat of Clearly on Top over the final coat after using the magnet. Check this out! Insert Coin also contains a magnetic gold shift, so when you hit it with the magnet, a gold bar shifts into place below your magnet placement, making the blue and purple multichrome aspect of this polish really POP. I was really in the mood for the mottled colour effect when I swatched this photo, but if you prefer more obvious golden "coins", you can use the magnet on its thin side held closely to the polish immediately after application for a minute. Not only is Insert Coin beautiful in both situations, the formula is fantastic. Two creamy coats reaches opacity on my shorter nails perfectly. My magnetic photos utilize three coats as I didn't want to remove polish and start all over again, but you can certainly get a magnetic effect easily with two coats. In spite of the weather getting warm around here, I'm really loving this darker shade right now as a great break from the ultra-bright hues! 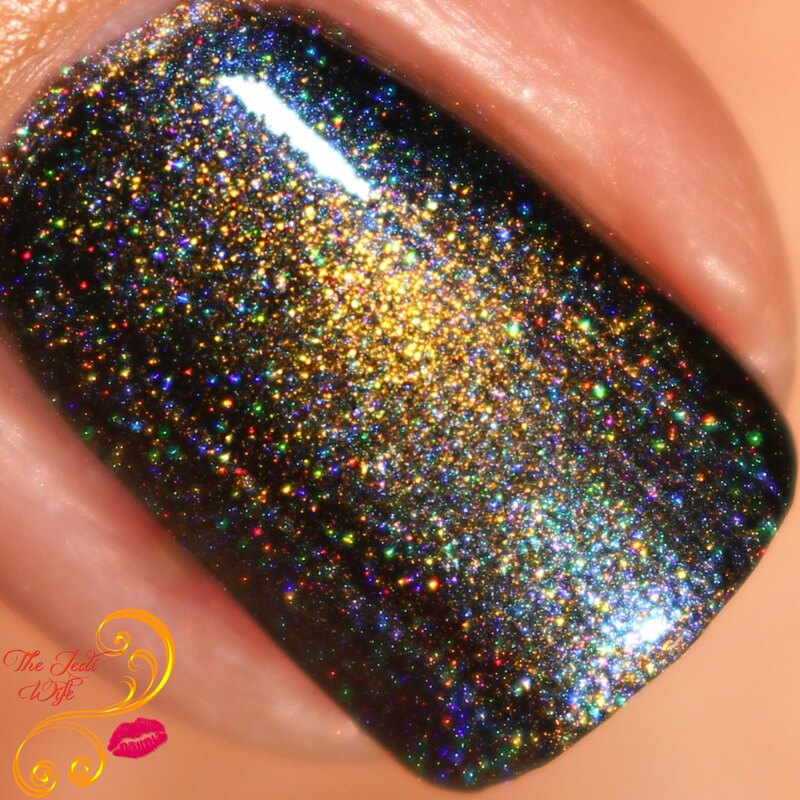 Whether you choose to enjoy it now or save it for the cooler fall months, there is no doubt that Insert Coin is a gorgeous polish and a fabulous hommage to the old school gaming life of arcades! 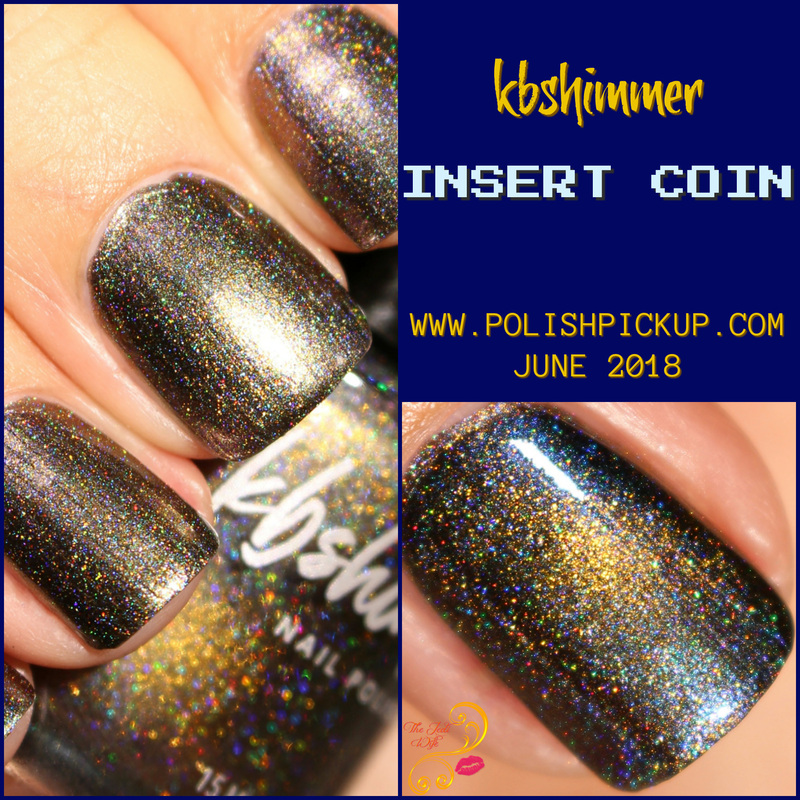 Insert Coin will be available for purchase on the Polish Pickup website from this Friday, June 1st through Monday, June 4th. You can purchase the polish and magnet combination for $14.50, or if you already have a magnet from KBShimmer's Launch Party Collection (or other polish magnet, of course), you can purchase Insert Coin by itself for $11.50. Please note that all order made through the Polish Pickup are submitted as a pre-order and to allow up to three weeks for shipping. Are you a fan of magnetic polishes and plan to pick up Insert Coin this weekend? Would you rather wear Insert Coin with the traditional application or use the magnet for the full effect? What other Polish Pickup shades do you have on your wishlist? I'd love to hear from you! How pretty! I didn't realize this was more copper based. KB Shimmer gets polishes so right, especially their shimmer and holo formulas. This is another winner from KBShimmer. It reminds me of fall but with the gold it becomes summery. Hello magnetic polish - get into my shopping cart! I love how dynamic this polish! OMG I love all the different colors that the shimmer picks up! 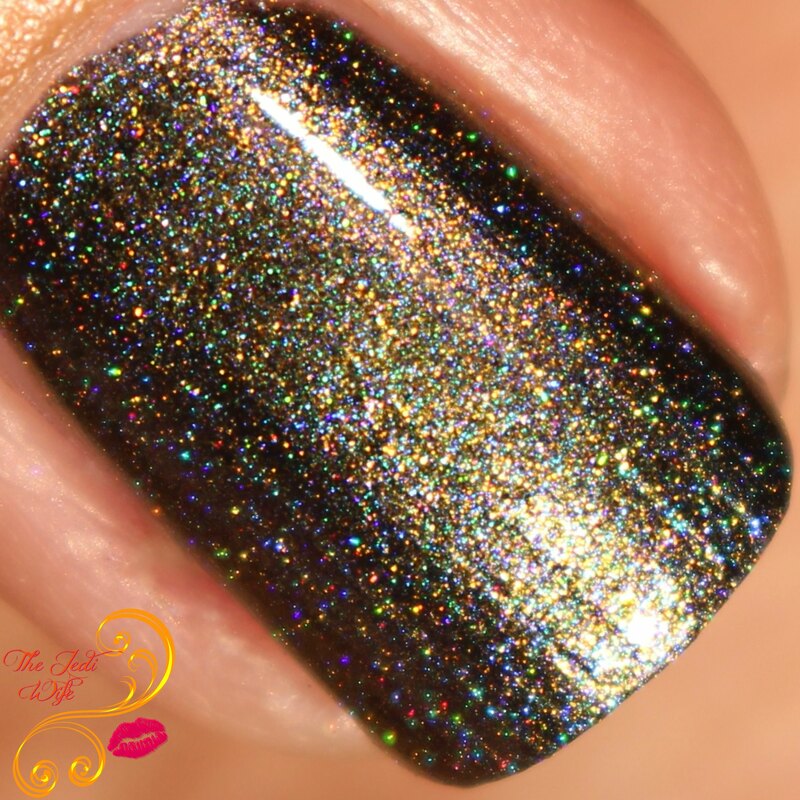 That is my favorite PPU KBShimmer so far! The colors in this magnetic are so unique and pretty! This is so unique and neat! I haven't been into magnetic polish but this is such a crazy shift when you hit it with the magnet that I feel like I owe it to myself to get it. The shift is just so surprising considering the base! OMG wow! I thought it was gorgeous to begin with, but then I scrolled down to the magnet part and my jaw dropped to the floor. What a stunner! Holy crap, this polish. There's so much happening! That icy blue shimmer is gorgeous. Wow!!! This shade is just stunning!!! I love every single element!!! Beautiful swatch. I love how this polish transforms with the magnet! Preheels: Heels Don't Have to Hurt You! LynB Designs for the May Polish Pickup: SPOON!